Currier and Ives Family Christmas for 21st Century Families. The classic Currier and Ives scene looks a bit more chaotic when populated with 21st century families but the idea is timeless – sharing time together. I have searched for and found Christmas holiday escapes which include festively decorated cabins and cozy lodges ideal for sharing adventures, making discoveries, and creating a few classic memories. 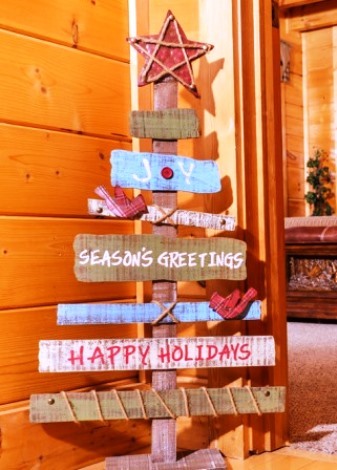 At Cabins for You in Gatlinburg no need to decorate just show up and begin to vacation. Even though November is almost here, it is not too late to book a vacation cabin for the holidays. This week I have spoken with more than a dozen locations each with options for the upcoming Christmas holiday break. True the choices have diminished since August but great places for fireside chats, stargazing, and holiday festivities still may be snagged. Eagles Ridge Mountain Side Cabins in Pigeon Forge. Appalachian retreats for families. Jellystone Park Camp-Resort in Nashville – Extra magic of holiday lights and music. Stone Mountain Georgia – Christmas cabins plus extreme snow tubing. It’s not too late to plan an escape, really.